Whale tagging research team observes a humpback whale in Stellwagen Bank National Marine Sanctuary. Credit: Stellwagen Bank National Marine Sanctuary. Photo taken under NOAA Fisheries Permit #981-1707. The National Aquarium in Baltimore will be hosting a free screening and the Maryland premiere of the film “Ocean Frontiers II” on the evening of February 20th. 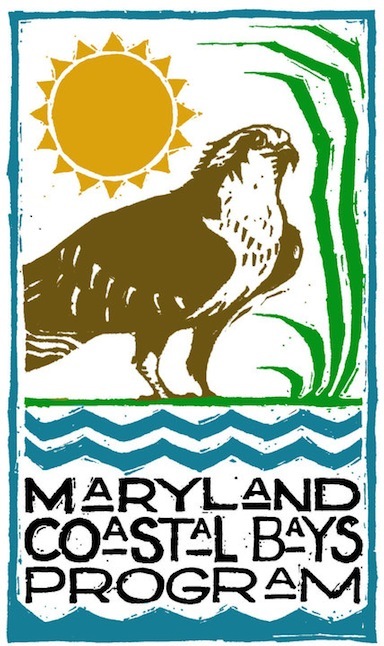 The Maryland Coastal Bays Program will be participating in the event with an information table and we invite all of our friends, volunteers and supporters to join us in Baltimore for a fun-filled night for our ocean. Gwynne Schultz, State Co-Lead, Mid-Atlantic Regional Planning Body and a member of the MCBP Board of Directors. This new effort that is taking hold all along the Atlantic – called coordinated ocean planning – brings together all of us who use and love the ocean to help develop a plan for the ocean’s future use and protection, so that we can count on a healthy ocean for our children, grandchildren, and generations to come. The event is hosted by the National Aquarium and sponsored by the Natural Resources Defense Council. Pre-registration is required and space is limited. The first 100 people to register will receive a voucher for free event parking at Lockwood Place Garage.